Personalization is an interesting topic concerning every e-mail marketer. 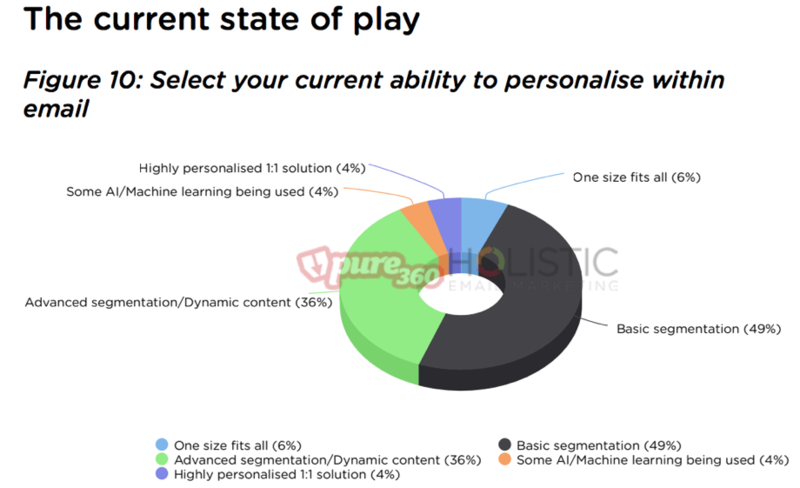 Last week, an interesting report on personalization was published in the UK, based on research from Holistic Email Marketing and Pure360. Kath Pay, CEO of Holistic Email Marketing, wrote us a guest blog in which she sheds light on some of the findings of the report. You can find the report via this link. What’s our objective with personalization? Personalization is a hot topic. As marketers, we all want to do it. We use personalization to increase our engagement and conversions. The fact that we use the word ‘use’ in this statement alludes to the idea that personalization isn’t the objective, but rather a strategy. I believe that, in order to achieve the greatest success, we as marketers should always focus on the objective, the reason why we are implementing strategies and tactics and not just focus on the strategy or tactic itself. The objective is what we want to achieve – the why. The strategy and supporting tactics are how we will achieve it. E-mail marketing is blessed to have amazing technology that enables personalization. However, because technology is so clever, we tend to rely heavily on it and often become too dependent on it. We let technology lead the way, whereas we as marketers need to lead the way with a strategy (that supports our objective) and then take advantage of this powerful technology to enable the strategy to come to life. Personalization is a customer tactic. That is, it is centered on the customer and the journey, rather than it being specific or limited to a channel or a campaign. This means that we have to implement this in all customer channels in whatever way possible. The majority of email marketers are still only doing basic segmentation. The technology has allowed us for years to send personalized messages with features such as dynamic content, but when it comes to the use of AI and machine learning to send one-to-one messages, it appears only 8% of marketers use these features. Why don’t more email marketers use personalization as a strategy? In our report we discovered that not only was lack of resources the most popular challenge, but that is was across the board, regardless of company size or team size. Additionally, the second most important reason marketers personalize so little is because data is saved in silo’s. The data is there, but is isolated and difficult to get to for the marketer. Personalization is both an art and a science. Most marketers, however, treat it as if it’s just a science. Ever received an email or retargeted ad that was just plain creepy? That was science and technology leading the way. Art and science should wsork hand in hand to deliver the kinds of results that will lead you to your goal for your personalization efforts: helpful marketing that enhances your customer’s experience along the entire journey, using all the marketing channels available to you. The art of personalization means having to choose between overt or covert personalization tactics, or maybe even both. Overt personalization is often explicitly stated as such, for example “we recommend these videos based on your previous browsing”, whereas covert personalization is more subtle and the end result is more like a serendipitous event: “oh, I was just thinking of that!”. Covert personalization still used the same data as overt, but the presentation is different. Often it can be as simple as mixing it in with non-personalized content and not explicitly calling out that the information is personalized. Your customer thinks “wow, this email totally gets me!”, not “ew, how did they know that about me?”. Email marketers tend to be very campaign-oriented. We measure success in terms of campaign metrics. However, in the report, we found an incredibly valuable insight: 100% of marketers who measured personalization using result-oriented metrics such as customer lifetime value along with campaign metrics like clicks and conversions, saw a lift, as opposed to 89% of marketers who used only campaign metrics. These results confirm that personalization is a customer tactic and as such, we should be using customer metrics such as open reach, click reach, and customer lifetime value to measure to success of personalization. Start small. We are often overwhelmed with the enormity of personalization. But when we keep in mind that personalization is a strategy consisting of multiple tactics, we have a starting point. Identify your objective and the strategy you want to use to achieve this objective, then select one of the many tactics you can use to bring this strategy to life. The tactic itself can be broken into small bite-sized pieces that are easy to accomplish. By using an incremental learning approach, you will not only gain wins, but also insights about the types of personalization your customers want and build a business case for gaining more budget and resources. Kath lives and breathes email marketing and is recognized as one of the UK’s leading email marketers. She devotes her time to developing customer-centric ecommerce journeys using a holistic multi-channel approach. 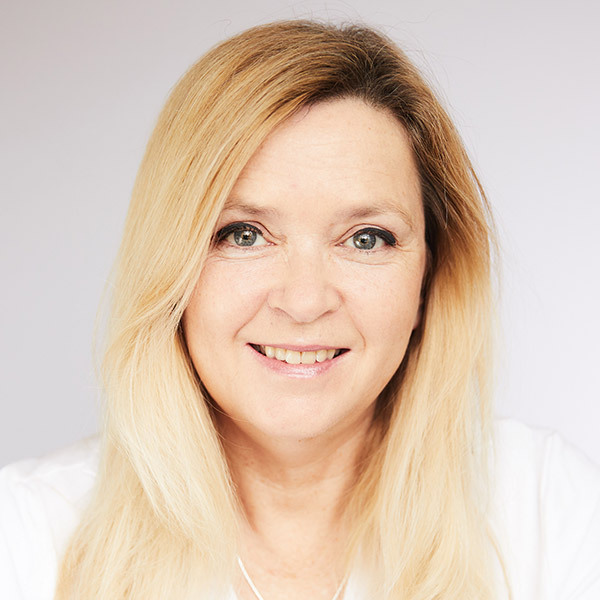 A thought-leader and industry veteran of 19 years, Kath is a regular author, expert contributor, international conference speaker, and trainer.